I'm pleased to share with you that my photography was featured for the VERY FIRST TIME on the VERY BEST BLOG on the planet! 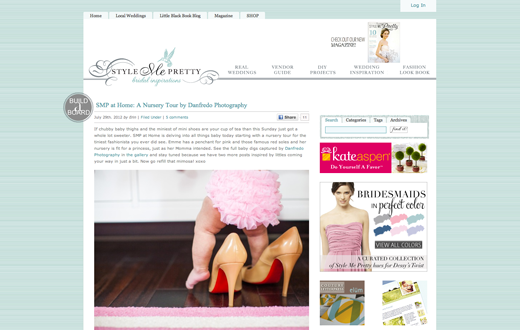 A big and humble thanks to Style Me Pretty for having Baby Emme's nursery up on their page over the weekend. Click here to see the full Style Me Pretty feature!